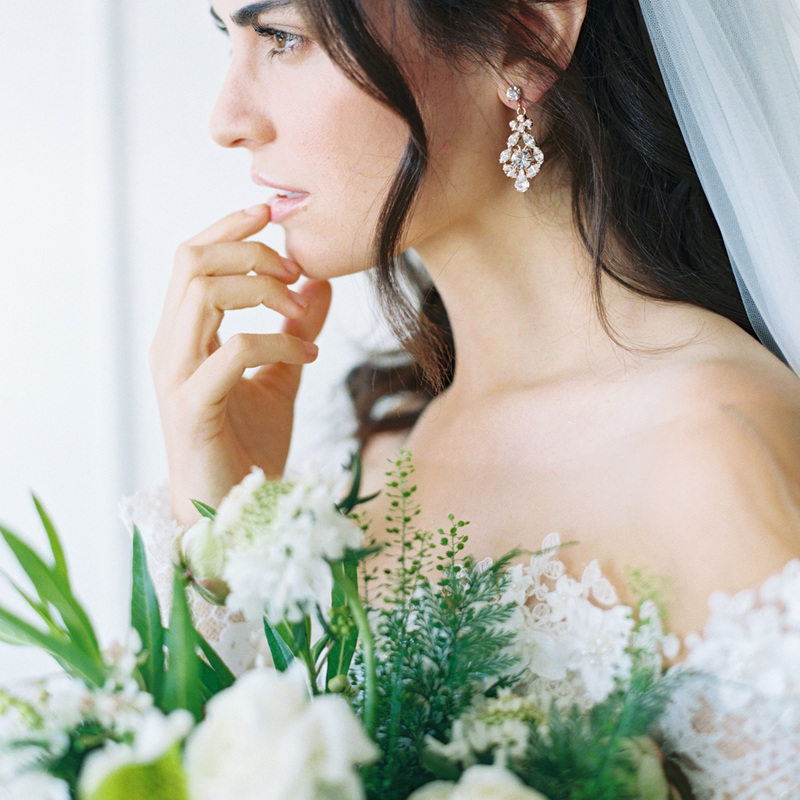 Trying to find the perfect pair of earrings for your wedding day? We know. The struggle is real! 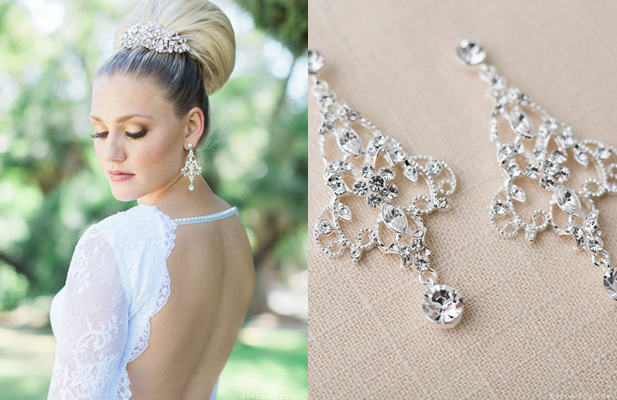 Your wedding is such an emotion-packed event that every detail matters; the jewelry you wear will always be special. 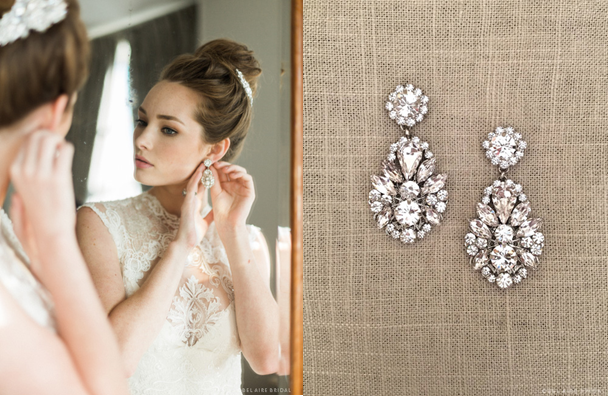 Beautiful bridal earrings add to the unique style of your outfit and forever evoke memories of the big day. Take our quiz and meet your match! Find out which pair best complements your personal bridal style. 3. What kind of wedding dessert would you like? 8. Which wedding venue would you prefer? Got your score? Match it with your results below! You are a romantic with an appreciation for feminine fashions. You love lace and floral designs, and your wedding is going to be nothing short of breathtaking. These lovely earrings incorporate round rhinestone flower studs with filigree and pear-shaped drops. Available in silver or gold, these beauties are versatile and can be paired with different accessories. 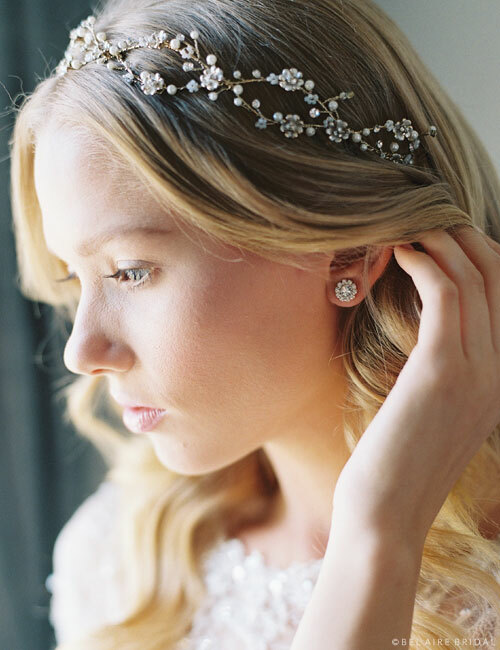 Try them with an embroidered or lace edge veil, along with a metal filigree halo or ethereal flower clip. You are glamorous with a taste for the finer things. For you, accessories are an extension of your natural grace and style—and the more bling, the better! This lovely pair of elegant drop earrings adds uncommon beauty to your ensemble. Swirling silver filigree with an Old World design of flowers and shimmering rhinestones create a sparkly, romantic accent. 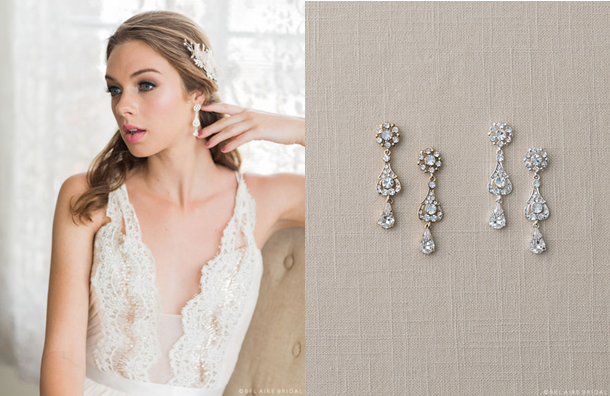 Style these with an exquisite headpiece for your reception and a dramatic veil for the ceremony! You are stylish and trendy; your bridal look is fresh and modern, with a fantastic dose of sparkle. Your wedding will be an incredible party, so you need accessories that wow. 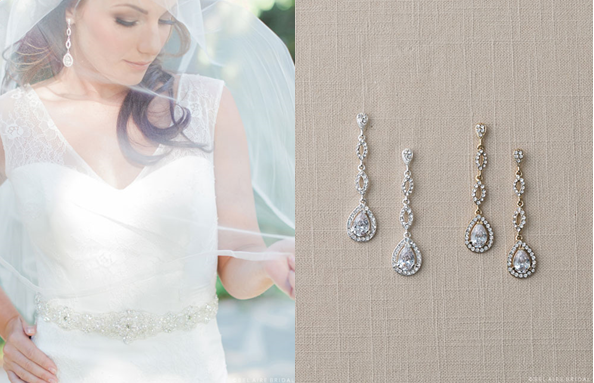 These eye-catching earrings are worthy of your wedding day. Dramatic rhinestone studs surrounded by a halo of sparkle culminate in shimmering drops packed with round, pear, and marquise rhinestones. 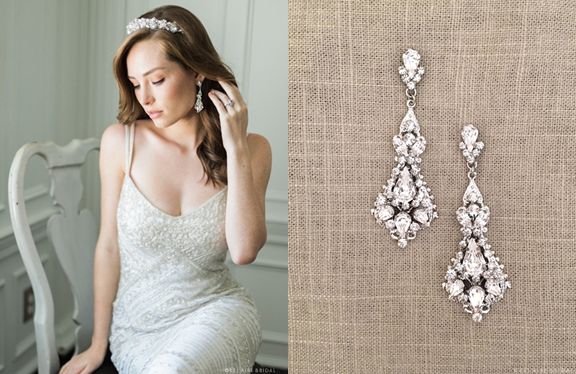 Anything but old-fashioned, these sparkly beauties add instant glamour to any gown. Your style is elegant, classic, and subtly romantic. You prefer simplicity and want to choose jewelry you can wear again for special occasions such as anniversaries. These lovely little rhinestone studs feature a central stone with a halo of tiny rhinestones. Reminiscent of flowers, this versatile pair adds lightweight beauty to your look. They also perfectly complement your other accessories without adding too much bling. Your obsession with all things vintage is only surpassed by your love of bling! You are inspired by ‘20s glamour and want a look that is fun yet dazzlingly beautiful. This lovely pair of vintage-style drop earrings features silver filigree and a stunning array of pear-shaped and round stones. Sparkling with radiant allure, this eye-catching accessory completes a beaded gown with pizazz. You might want to consider a French net veil, too! You exude a passion for life and aren’t afraid to shine. Your destination wedding is being held over a whole weekend, so friends and family can enjoy themselves to the fullest. Stylish and sparkly, this pair of long earrings features pavé rhinestone loops and dramatic pear-shaped drops. You can add this glamorous accent to your engagement party, wedding ceremony, and/or reception outfits. For you, every special occasion is worthy of sparkle. You are free-spirited and have chosen an unstructured, dreamy outfit. Your rustic outdoor wedding is being held in a natural setting such as the mountains, forest, or beach. 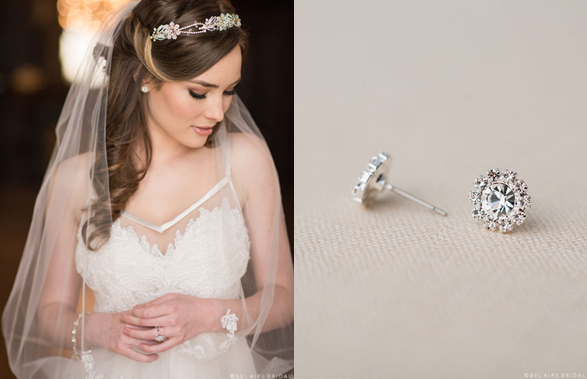 These dainty drop earrings are beautifully bridal and blend into any outfit with effortless style. 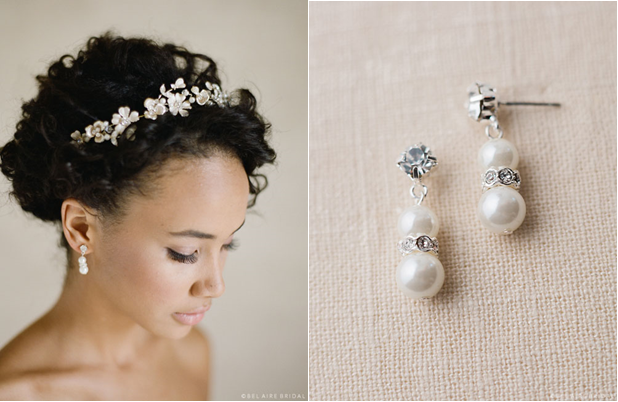 Simple rhinestone studs and glass pearl drops easily complement your other accessories, whether you’re wearing a floral crown or breezy veil. Browse more earrings on our Belts & Jewelry pages, and follow us on Instagram for styling ideas!